The College of Arts and Sciences consists of 28 departments and 400 faculty. 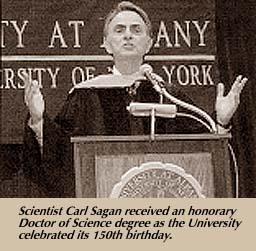 A number of the faculty have been honored through the receipt of special awards and honors, among them the Turing Award, the highest award in computer science nationally and internationally, two NSF Presidential Faculty Fellowships, and a Pulitzer Prize. The College enhances the quality of its academic program by providing graduate students with collaborative learning experiences and world class research opportunities. Exemplary teaching, cutting-edge research, graduate library resources and on-line services, and a faculty committed to student success are the prime linchpins linking the present to the future in the College's prospective vision for the 21st Century. Africana Studies, M.A. Areas of concentration are African Studies and Afro-American Studies. Specializations within African Studies include culture, history, economics, politics of Eastern Africa, Western Africa, and Southern Africa, or functional subjects such as international relations and the economics and politics of the continent as a whole. Subflelds within Afro-American Studies are Afro-American history and culture: urban Black economics and politics; urban affairs and planning: Black literature and criticism; and central city institutions. Several graduates teach abroad and others have faculty positions at U.S. Colleges. Many graduates go on to pursue doctoral degrees at other prestigious institutions. Anthropology, Ph.D., M.A. Comprehensive training in the four traditional subflelds of anthropology is offered, with a particular emphasis on prehistoric, colonial and contemporary New World Studies. Teaching and research programs in Northeastern Native American Studies and MesoAmerican Studies have a distinguished international reputation which is fostered by the activities of the Institute for Archaeological Studies and by the Institute for Mesoamerican Studies (IMS). The journal, Northeast Anthropology, is edited here, as are the two monograph series of IMS. 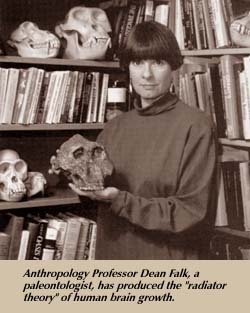 The Department has extensive research and teaching links with the New York State Museum, Albany Medical Center and with the University's School of Public Health, all of which contribute to the many opportunities for students in the areas of applied biological anthropology, museology and historical archaeology. Art Studio, M.A., M.F.A. The 30 credit M.A. and 60-credit M.F.A. degrees are offered in Painting, Sculpture, Printmaking and Drawing. A faculty of professional artists, art historians, and critics utilizes theoretical and practical approaches to assist candidates to conceptualize, form, and reinforce attitudes and ideas in the exploration of both experimental and traditional media in a studio environment which encourages creative growth and experimentation. 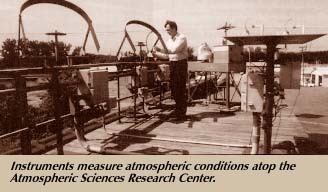 Atmospheric Science, Ph.D., M.S., M.S. Certification,* B.S./M.S. Specializations include cloud and precipitation physics, theoretical and dynamical meteorology, solar energy meteorology, micrometeorology, aerosol physics, synoptic and mesoscale meteorology, numerical weather prediction, tropical meteorology, air pollution meteorology, atmospheric chemistry and modeling, atmospheric transport, chemical processes and climate dynamics and modeling. Biology, Ph.D., M.S., M.S. Certification,* B.S./M.S. Four specializations are available: cellular and developmental biology, ecology and animal behavior, molecular biology, and neurobiology. Internationally recognized faculty are distributed across these areas, yet members' interests generally span several fields, and interdisciplinary approaches are encouraged. The Biology building, with nearly 3 acres of space, contains numerous research laboratories competitively equipped for modern research. 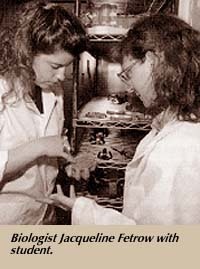 There are three research centers in the Department of Biological Sciences. 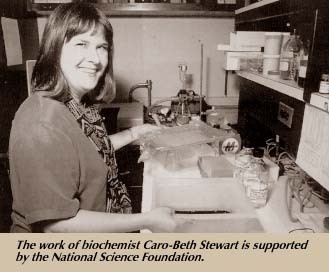 The Center for Cellular Differentiation focuses on the roles of secreted, cell surface and extra cellular materials on cellular interactions and differentiation with emphasis on cells and tissues derived from eucaryotic organisms. The Center for Molecular Genetics serves as a focal point for research efforts in molecular genetic technology across the Capital District. The Neurobiology Research Center fosters interdisciplinary research on the nervous system with approaches ranging from anatomy and electrophysiology to biochemistry and molecular biology. It has become widely known for its work on development and plasticity of the nervous system. Doctoral recipients have been successful in obtaining positions in major universities throughout the U.S. and abroad. Chemistry, Ph.D., M.S., M.S. Certiffcation,* B.S./M.S. Studies in chemistry include the four sectors: biochemistry, organic, inorganic, and physical. The program is designed to train the student to become an independent researcher capable of pursuing a career in teaching and in academic or industrial research. Classics, M.A., M.A. Certification,* B.A./M.A. Available specializations include classical archaeology, Latin language and literature, as well as secondary-school teaching sequence in Latin. Department participates in Doctor of Arts in Humanistic Studies Program (D.A.). The Department houses the Institute of Cypriot Studies, only one of two such Institutes world-wide. Students have the opportunity in archaeology programs for hands-on experience at industrial archaeology sites. Communication, M.A., B.A./M.A. Major areas of emphasis are interpersonal/intercultural communication, political communication, and organizational communication/ telecommunications. Sociology doctoral students may elect a special field in Communication. Humanistic Studies D.A. students may elect communication as their primary or secondary field. Computer Science, Ph.D., M.S., B.S./M.S. Core areas of study include algorithms and data structures, theory of computation, parallel computation, high performance computing, computational logic, artificial intelligence, and software engineering. Departmental faculty include a recipient of the ACM Turning Award and a Presidential Faculty Fellow. Economics, Ph.D., M.A. The Ph.D. program is intended to prepare students for careers in academia, government, or business. Fields offered include development economics, econometrics, industrial organization, international economics, labor and income distribution, mathematical economics, monetary economics, public economics. The M.A. is a separate program that emphasizes practical training and analytical skills. Fields offered include finance, economic development, international economics and public sector economics. English, Ph.D., M.A., M.A./M.L.S., M.A. Certification,* B.A./M.A. Advanced studies include pedagogy, composition studies, and rhetoric; creative and expository writing; literary studies, including criticism and theory; and cultural studies. Focus may be on prose, fiction, poetry, drama, or empirical research and may be oriented towards theory, history, interpretation, or pedagogy. Emphases are placed on writing, teaching, and criticism. French Studies, Ph.D., M.A., M.A. Certification* Broad and interdisciplinary in scope and design, the graduate degrees in French Studies are innovative in combining three areas of French Studies: Society and Culture, Language and Linguistics, Literature and the Arts, and in encompassing the Francophone regions beyond France itself. Exchange agreements with the Universities at Grenoble and Strasbourg provide research and teaching opportunities for graduate students. Internships for students are available through two faculty initiated projects: Multimedia Language Systems, and the Franco-American database. Students are prepared for careers in higher education or in public and private entities engaged in international activities. Geography and Planning, M.A., M.R.P., B.A./M.A., C.G.S. Departmental strengths include urban, social, cultural, and economic geography; climate and environmental systems; geographic information systems, remote sensing, cartography, computer applications and spatial analysis. Regional interests are Europe, Latin America, North America, Africa, and East Asia. There are close ties between academic geography and the professional field of urban and regional planning. See Urban and Regional Planning. Geological Sciences, Ph.D., M.S., B.S./M.S. Research areas include the fundamental and interrelated areas of geological science: tectonics, structural geology, and geochemistry including environmental geochemistry. Specializations within these fields may be arranged according to student and faculty interests. History, Ph.D., C.A.S. in Public History, M.A., M.A./M.L.S., B.A./ M.A. Doctoral fields, organized thematically, include public policy, international history and work, gender, and culture. M.A. concentrations may be thematic, along the lines of the doctoral program, with the additional option of local and regional history; or geographically defined (United States, Modern Europe, or Third World history). See Library Science. Humanistic Studies, D.A. Interdisciplinary program for those planning careers in public or private sector in situations where diverse skills and breadth of knowledge are an advantage and where humanistic values are at issue. Areas of program concentration are Africana Studies, Anthropology, Art, Classics, Communication, English, French, German, History, Linguistics, Philosophy, Russian, Spanish, Theatre, and Women's Studies. Applicants should specify both major and minor fields of concentration; Humanistic Studies in itself does not constitute a major or minor field. Latin American and Caribbean Studies, M.A., C.G.S. The M.A. Program in Latin American and Caribbean interdisciplinary area and ethnic studies program specializing in the following areas: development studies, mesoamerican anthropology, women's studies, migration studies, and Puerto Rican studies. LACS is recognized as a viable alternative to the single department/discipline based structures that dominate most university settings. "Alternative" does not mean substitution; it means a valid, different model with its own set of persuasive advantages. When compared to other U.S. programs of its kind, our programs provide a unique integration of area studies and ethnic studies. Liberal Studies, M.A. Interdisciplinary program with studies devoted to the objectives of liberal education: developing critical thinking skills, fostering intellectual flexibility, and cultivating ability to link diverse areas of human thought from the humanities, social sciences, and natural sciences. Designed for individuals who seek to pursue their intellectual interests through non-traditional studies. Mathematics, Ph.D., M.A., M.A. Certification,* B.S./M.A., B.A./M.A. Areas of concentration are algebra, complex analysis, real analysis, probability, applied statistics, mathematical statistics, and topology. Deep understanding of the major field of interest, ability to formulate and recognize significant research problems, and ability to analyze and reach solutions and to transmit ideas to others are central program objectives. The Ph.D. program in mathematics prepares students to become productive research scholars, capable of communicating their knowledge to students and the mathematical community, and of applying it in academic and other settings. The New York Journal of Mathematics, a refereed electronic journal, was developed and is maintained at Albany. Philosophy, Ph.D., M.A., B.A./M.A. Areas of specialization are knowledge and representation, including focus on the nature, history, and epistemic grounding of cognitive, linguistic, cultural, and aesthetic systems of representation; and values and society, with focus on moral and political values in relation to the social context, as well as historical and theoretical approaches to values. Physics, Ph.D., M.S., M.S. Certification, B.S./M.S. Faculty interests and research areas span a wide range, from foundations of quantum mechanics to applied electronic materials.. Special areas of concentrated research include materials physics, x-ray optics, particle physics, the electronic structure of materials, and foundations of physics. Two research centers are affiliated with the Department. The Center for Advanced Technology (CAT) in Thin Films and Coatings was founded in 1993. The objective of this university/industry/state initiative is to advance new and existing industries in the critical thin-fllm areas which are relevant to modern electronics. The Center for X-ray Optics focuses on the development of new methods for the bending and focusing of x-rays, and has potential applications in areas ranging from astrophysics to mammography. Political Science See entry under Nelson A. Rockefeller College of Public Affairs and Policy, School of Public Affairs. Psychology, Ph.D. Sub-flelds include industrial/organizational, clinical, cognitive, social/personality, and biopsychology. Specializations within these fields are arranged in consultation with Department faculty. See also School of Education: Counseling Psychology, Educational Psychology and Statistics, and School Psychology. Two research centers are affiliated with the Psychology program. The Center for Stress and Anxiety Disorders conducts intensive research on the etiology, classiflcation, assessment, and treatment of the various stress and anxiety disorders. The largest center of its kind in the country, it is supported by nine clinical research grants from the National Institutes of Health and the National Institute of Mental Health totaling nearly $3 million. The Center for Applied Psychological Research is committed to applying psychological principles to the solution of societal and organizational problems. Its major purpose is to facilitate applied research and to help professionals and graduate students develop skills that are conducive to addressing applied problems. Graduates of the doctoral program are now members of prestigious faculties and are working in clinical settings, and some are in research and administrative positions. Russian, M.A., M.A. Certification,* C.G.S. in Translation, B.A./ M.A. Areas of study are 19th and 20th century Russian literature, Russian culture, Russian translation, modern Russian phonology and morphology, and applied linguistics. Students enrolled in the M.A. and certificate program are eligible to apply for the SUNY Moscow State University Exchange of graduate students. This program enables qualified degree candidates to spend one-to-two semesters of study and research in Russia. Social Studies, M.A., M.A. Certification,* Disciplines include Africana studies, anthropology, economics, geography, history, Latin American and Caribbean studies, political science, public affairs, sociology, and women's studies. Sociology, Ph.D., M.A., C.G.S., B.A./M.A. Research strengths include: gender, social demography, crime and deviance, historical and cultural sociology, urban and political sociology, organizations, and race and ethnicity. Current faculty research includes comparative studies of modernization, changing meanings of ethnic identity, residential segregation, the socioeconomic causes of crime and social sources of violence. The Department offers a certificate in Demography and has a joint Ph.D. program with Communications. (See also Communication.) Many faculty maintain strong ties to other departments such as Organizational Studies, Women's Studies, and Latin American and Caribbean Studies. The Center for Social and Demographic Analysis offers analyses of major demographic trends affecting New York State, exemplified by its research on the impact of migration. Its associates also engage in research on social phenomena in the U.S. and other nations. Spanish, Ph.D., M.A., M.A. Certiffcation,* B.A./M.A. Study concentrations include several areas of Hispanic literature, civilization, and linguistics for the M.A. For the Ph.D., students can specialize in Linguistics and major and minor in areas in Hispanic literature (Medieval, Golden Age, Modern Spanish, Colonial Latin American, and Contemporary Latin American). The Department has on its faculty the individual who is recognized internationally as the foremost authority in Hispanic linguistics and literature: Professor Manuel Alvar of the Spanish Royal Academy. The Ph.D. program in Spanish is designed to prepare students for a career in teaching Spanish in colleges and universities and to provide them with training in the critical and analytical techniques of literary scholarship. Graduates of the Department teach at major universities in Peru, Spain, and Colombia, as well as in the U.S.
Theatre, M.A., B.A./M.A. Introductory graduate study in theatre art is offered concentrating on drama and theatre history with opportunities for course work in acting, directing, design, and technology. This is a broadly focused program which provides advanced work in a variety of production/performance areas and prepares students to move in a number of directions by offering experience in both the academic and practical areas of theatre. Urban and Regional Planning, M.R.P., C.G.S. Specializations are offered in environmental planning; housing and community development planning; land-use planning and urban design; transportation planning; and urban and regional information systems. See Geography and Planning. Women's Studies, C.G.S. in Women and Public Policy This program may be elected independently or in conjunction with a degree program under the auspices of the Women's Studies Department and the Department of Public Affairs and Policy in cooperation with the Rockefeller College, the School of Education, and the Center for Women in Government. Women's Studies also offers a wide range of courses that allow students to reexamine traditional disciplines from a feminist perspective and to develop new transdisciplinary approaches to the study of women. Students may elect Women's Studies as a field within the M.A. in Liberal Studies and the D.A. in Humanistic Studies Programs, and may concentrate in Women's Studies or gender in programs in departments such Anthropology, English, History, Political Science, and Sociology.